We are the Southeastern Michigan Branch of the American Society of Civil Engineers (ASCE), a non-profit national organization. ASCE’s mission is to provide essential value to our members, their careers, our partners and the public by developing leadership, advancing technology, advocating lifelong learning and promoting the profession. 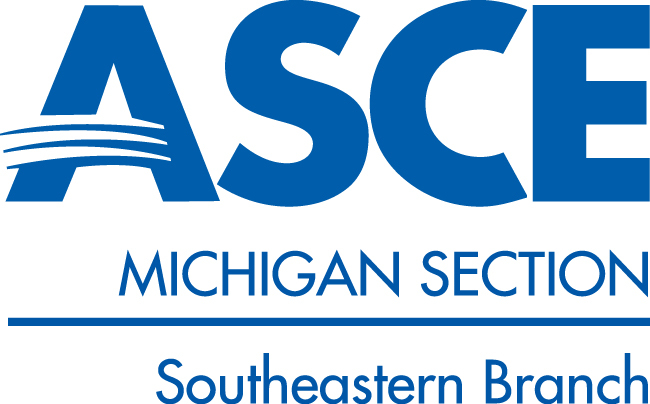 The Southeastern Michigan Branch serves members of the civil engineering profession in Lenawee, Macomb, Monroe, Oakland, St. Clair, Washtenaw, and Wayne counties. Save the date! 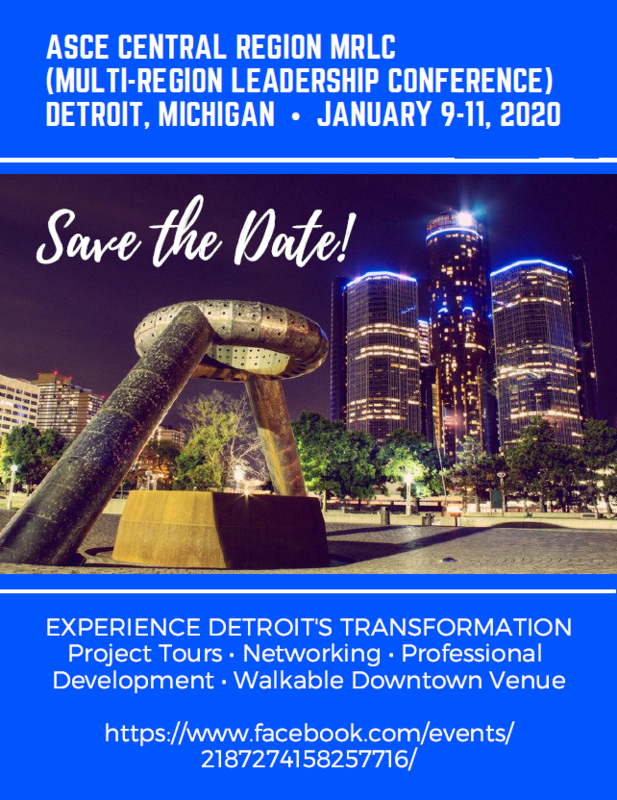 ASCE will be holding a Multi-Region Leadership Conference in Detroit in January 2020. Detroit is undergoing transformational development and we can't wait to share the city with you, from project tours to winter festivals. Visit our Facebook event page for further information.